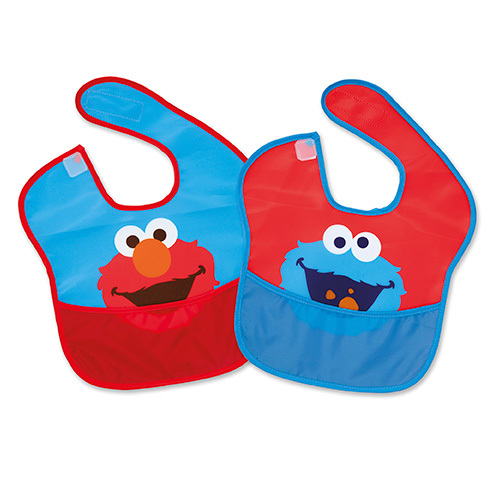 The Bib Pack 2 Elmo and Cookie Monster of "SESAME STREET" is a pack of 2 "Sesame Street" Bibs, one of Elmo and the other of the Cookie Monster, made of machine washable fabric, lightweight, easy to clean, waterproof, it is both comfortable and durable. With a Velcro closure on the shoulder for a quick fit. Practical pocket to contain crumbs or spills. 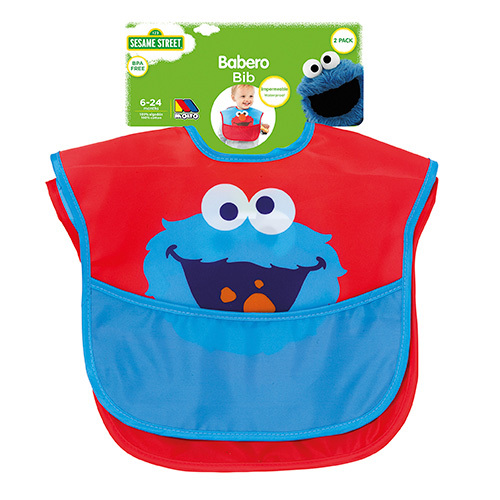 • Bib measures approximately 25 cms. across and 23 cms from the neck down. There are never too many bibs. 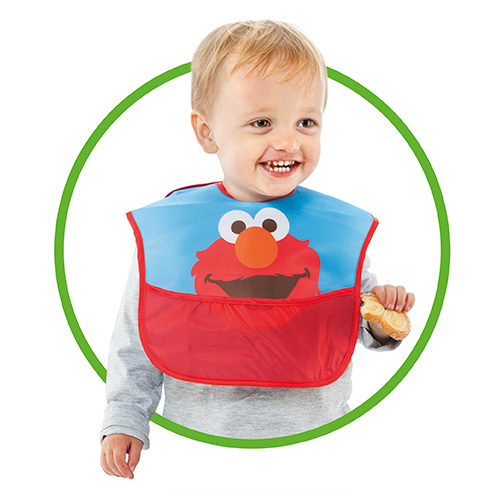 With this pack of two friendly bibs your baby will always be ready to eat.